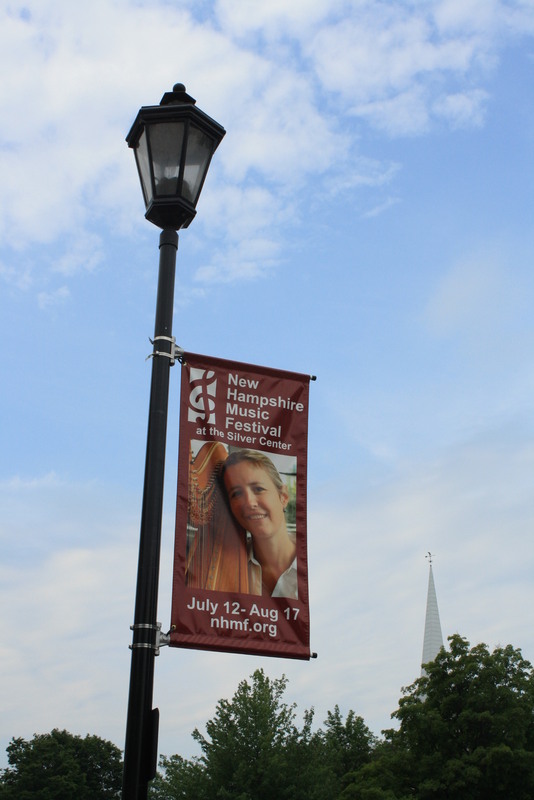 A great way to announce events is to put banners up on the street lights in your town. As people drive around, they become aware of the event, and attendance improves. They do a great job of publicity for not a lot of money. This banner was one of a set of 10 to announce a music festival in our town. Not only did the street light banners help with ticket sales, but the musicians felt that the town welcomed them. It also dressed up the town! Street light banners aren’t just for events. We’ve made them to simply make a town more welcoming, for a college to mention notable alums, and for a medical facility simply for decoration. Street light banners can do a great job for you too! This entry was posted in Vinyl Banners and tagged downtown banners, lamp post banners, pole banners, street light banners. Bookmark the permalink.